As personal injury attorneys in Cleveland, we have seen firsthand the types of accidents that commonly occur here: Car, truck, and motorcycle accidents on I-77, I-90, I-480, and other busy highways; pedestrian accidents downtown, near Progressive Field, Quicken Loans Arena, and the Rock and Roll Hall of Fame; medical mistakes at one of Cleveland’s many hospitals; slip-and-fall accidents at one of the city’s many shopping areas; and more. No matter where in the city your accident occurred, we can help you. We are available to meet at the location that is most convenient for you – in our office, at your home or at the hospital. To schedule a free consultation with a personal injury lawyer from our firm, please call 1-800-ELK-OHIO or complete our online contact form. 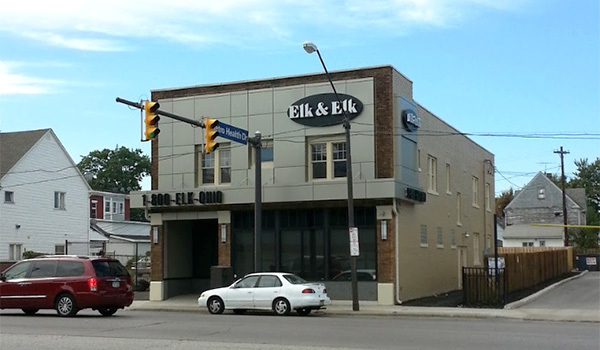 Our office is located on W. 25th Street in Cleveland across from the MetroHealth campus. Free parking is available in the rear of the building. Cleveland is the second most populous city in Ohio (behind Columbus), and the 51st most populous city in the United States. The population of Cleveland, as of 2016, is just over 385,800. Cleveland lies on the southern shore of Lake Erie. The Cuyahoga River cuts through downtown Cleveland and feeds into Lake Erie. Some of the top tourist sites in Cleveland are the Rock and Roll Hall of Fame, the Cleveland Museum of Art, the A Christmas Story House and the West Side Market. Cleveland is home to the Cleveland Indians (MLB), the Cleveland Browns (NFL) and the Cleveland Cavaliers (NBA). A number of colleges and universities are located in Cleveland. Case Western Reserve University is one of the nation’s top private research universities. The Cleveland Institute of Art, the Cleveland Institute of Music and Cleveland State University are also located in Cleveland.